Lexington, KY – May 2, 2012 – The United States Equestrian Team Foundation is pleased to announce that this year’s recipient of the Pinnacle Cup Trophy at the Rolex Kentucky Three-Day Event CCI**** is Allison Springer of Upperville, VA. Springer and her horse Arthur were the highest placed U.S. pair, finishing in second place at the top event, held April 29-29, 2012. Her remarkable score earned her the Pinnacle Cup Trophy, the red ribbon finish and the prize for best-conditioned horse. Springer was thrilled to take the second place honors, especially since she has been working diligently with her 13-year-old Irish Sport Horse, Arthur. The pair performed beautifully throughout all three phases, taking the lead during the dressage phase. 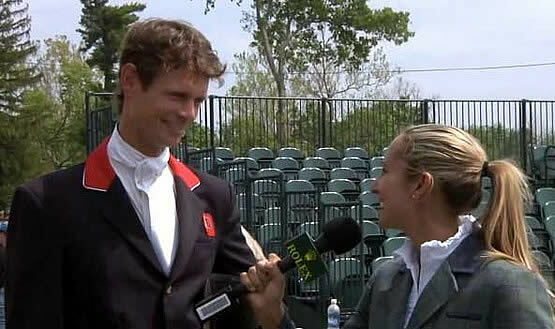 Springer and eventual champion, William Fox-Pitt of Great Britain, went neck-to-neck as they fought for the top spot. Springer rode Arthur through a careful track on the cross-country course, taking a long route through the angled brushes to assure themselves no jumping faults. Her conservative approach did incur time penalties, but she concluded the phase with a score of 43 and only 3.2 time faults. 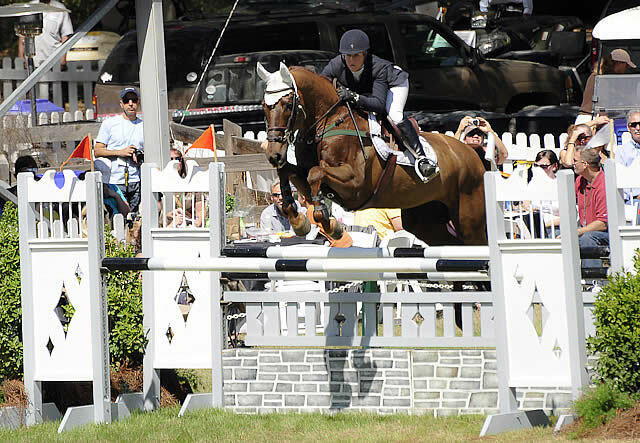 A four-fault total in the show jumping arena meant that Fox-Pitt, secured the top spot, but Springer’s overall performance was right at the top of the leader board. 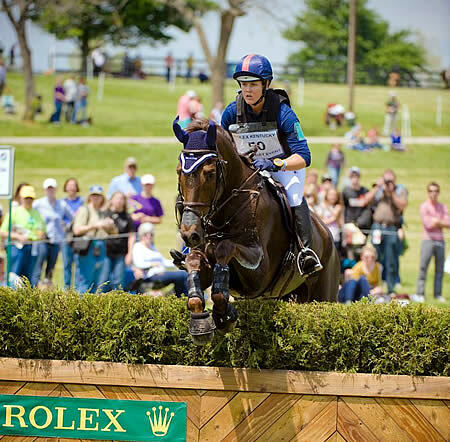 Lexington, KY – Derek di Grazia’s 29 obstacle cross country course proved extremely influential Saturday at the 2012 Rolex Kentucky Three-Day Event presented by Bridgestone and caused a tremendous shake-up of the leaderboard. The top of the standings saw an exchange of first and second positions as William Fox-Pitt and Parklane Hawk now lead the field while dressage leaders Allison Springer and Arthur sit in second. Fox-Pitt demonstrated Saturday why he has won 10 CCI4*s in his career, piloting Catherine Witt’s Parklane Hawk to a masterful round Saturday. The 12-year-old New Zealand Thoroughbred gelding was one of only seven horses to produce a double-clear round Saturday, to remain on their dressage score of 41.3. Fox-Pitt heads into Sunday’s show jumping phase looking to win the second of the three leg $350,000 Rolex Grand Slam of Eventing after having won the 2011 Land Rover Burghley Horse Trials with Parklane Hawk. 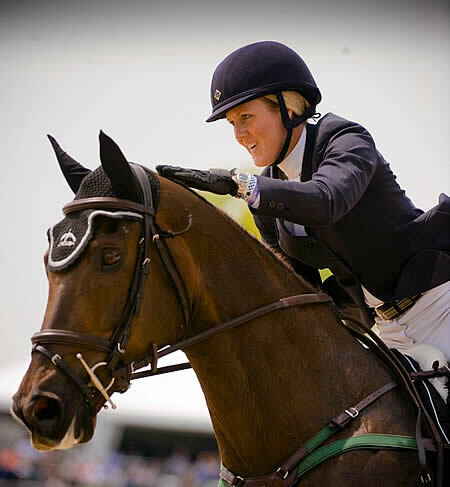 Lexington, KY – On the second day of dressage at the 2012 Rolex Kentucky Three-Day Event presented by Bridgestone the results proved true to form. Familiar pair Allison Springer and Arthur topped the first phase scoring 39.8 – the only effort to break 40. Great Britain’s William Fox-Pitt Parklane Hawk cruised to second place with a score of 41.3 and Clark Montgomery and Loughan Glen settled into third with a lovely effort at the horse’s first CCI4*. A chilly start to the day meant for some fresh horses this morning, but the quality remained high and Springer (Marshall, VA) rode Arthur with a lot of confidence and was rewarded by the Ground Jury of Nick Burton, Anne-Mette Binder and Michel Asseray. Now 13, Arthur can be relied upon to produce a good dressage test despite his seemingly worried outlook on life. There were no rails in hand heading into the show jumping phase at The Fork, but that didn’t matter to Phillip Dutton, Karen O’Connor, Michael Pollard, and Allison Springer as they all held onto their overnight leads in their respective divisions by jumping clear rounds over the Sally Ike designed show jump course. 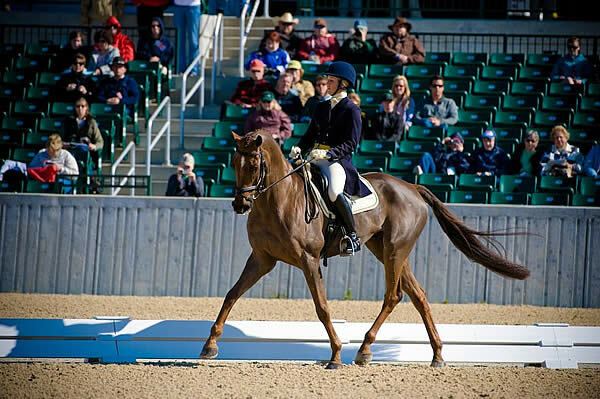 In the Adequan USEA Gold Cup Advanced B Division, Allison Springer and Arthur, a 13-year-old Irish Sport Horse gelding (Brandenburg’s Windstar x Kelly), led from wire-to-wire to finish on their dressage score of 22.7 in the extremely competitive class. The pair had quite a few hard rubs in the show jumping arena, but luck was on their side and all of the poles remained resolutely in their cups. Scranton, PA — (October 1, 2011) – Mountain Horse is pleased to announce the latest addition to their Team Rider program, Allison Springer. A veteran four-star event rider, trainer, and coach, and one of eventing’s brightest young stars, Allison knows how demanding the eventing world can be and relies on the proven, world-famous quality that is found in every design and detail of Mountain Horse products, from their innovative outerwear to their all-season footwear. “All of us at Mountain Horse are really pleased to have such great, young talent represent the line. We are a company that is run by equestrians, all of whom are super passionate about riding. So it really resonates with us to have the world’s up and coming young stars recognize and embrace that passion in the design and functionality of our products. We recognize how hard these event riders work for their craft, and truly feel like partners when it comes to helping them work and compete to the best of their ability,” states Sharon Gladski, Mountain Horse USA Brand Manager. Mountain Horse products are exclusively distributed in the U.S. by English Riding Supply. For more information on Mountain Horse Team Riders, or to see the exciting new Fall/Winter line, visit us at www.MountainHorseUSA.com. Lexington, KY – With the sunshine came the first day of dressage at the 2011 Rolex Kentucky Three-Day Event presented by Bridgestone. After a week of rain, the sun shone brightly and the wind blew through the Kentucky Horse Park. Spectators that were here first thing were treated to the best test of the day as Allison Springer took the lead with Arthur. 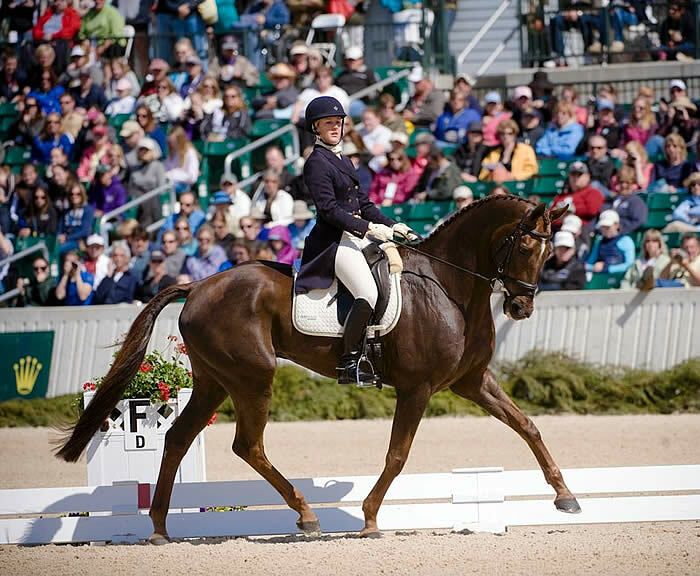 The pair was first in the ring – and their score of 42.3 rewarded an elegant effort for a pair that frequently lands atop the dressage leaderboard. Great Britain’s Mary King, who was third last weekend at the Mitsubishi Motors Horse Trials. cruised into second place on Derek Rostron Baden’s Kings Temptress with a score of 47.7. William Coleman and Twizzel were third as Jim Wildasen’s 15-year-old Westfalen contested his first USEF National CCI4* Championship. Arthur, who Springer owns with her parents William and Caroline, is very experienced even though he is only 12 years old, but he isn’t always the most manageable in an electric environment. 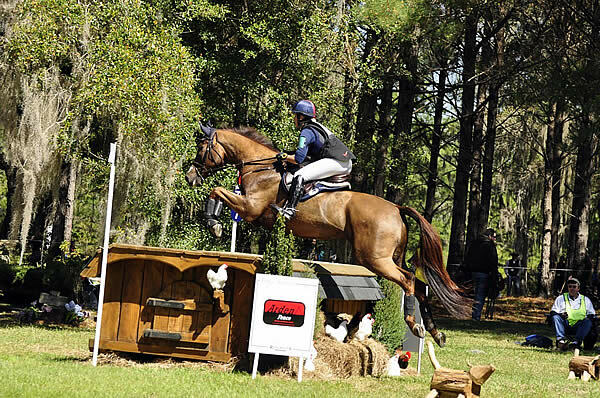 Allison Springer and her own Arthur were the first on course during the CIC3* cross-country competition at the Red Hills Horse Trials in Tallahassee, Florida, but their comparatively quick round moved them up from third to first by the end of the day. “You always wonder how things are going to go,” Allison said. “It’s nice to be able ask other competitors.” Her plan was to “just go out there and do it,” and Arthur’s scope and big stride made easy work of the course. Springer and Arthur will have no rails in hand heading into show jumping. It’s only fitting that the winner of the first event of the 2011 Adequan USEA Gold Cup Series would be decided on the final moments of the competition on Sunday afternoon, drawing out the nail-biting excitement to the very last jump. Overnight leader Allison Springer must have breathed a huge sigh of relief to cross the finish line with all the rails still neatly in their cups, solidifying her victory at the prestigious Red Hills CIC3*. Without having a rail in hand heading into the final phase, Allison and Arthur won the event by just 1.3 points ahead of Boyd Martin and Neville Bardos. Michael Pollard and Icarus, Selena O’Hanlon and Colombo, and Leslie Law and Rehy Lux all finished third through fifth, respectively, also posting double-clear rounds. For her win in the CIC3*, a delighted Allison earned a year-lease on a fancy new Mercedes SUV, and even took it for a victory spin around the arena. 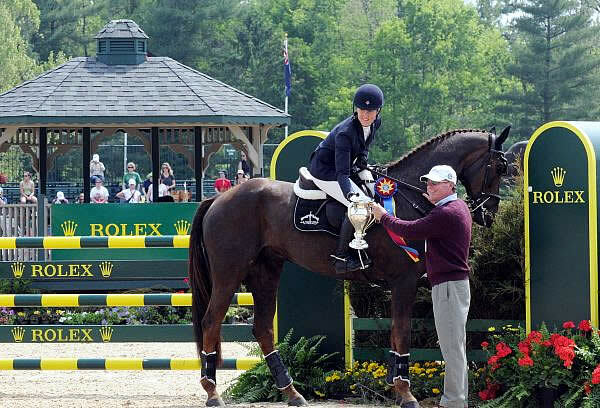 Allison also earned a bevy of prizes from the Adequan USEA Gold Cup series as well: $500 in cash, 7-dose box of Adequan, a 3-month supply of SUCCEED, and a pair of Nunn Finer American Style open front boots. Second placers Boyd Martin and Neville Bardos take home a 7-dose box of Adequan as well as a pair of the Nunn Finers boots.